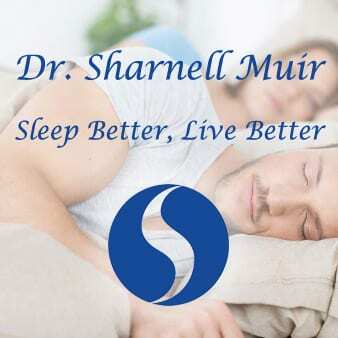 Dr Sharnell Muir practices exclusively in the field of Dental Sleep Medicine. Dr. Muir has been in private practice for over 29 years. Born and raised in B.C., she graduated with her Doctor of Medical Dentistry (DMD) degree from UBC in 1987. Initially, she practiced in the fields of general family and restorative dentistry but her keen interest in facial development and airway maintenance led her early on to gear her practice towards the focus of Dental Sleep Medicine. She is a Diplomate of the American Board of Dental Sleep Medicine, one of only three practicing in B.C. with this distinction in British Columbia. She is also a Diplomate of the American Sleep and Breathing Academy and is the only double Diplomate practicing in B.C. Her primary practice ‘Sleep Better Live Better’ is located in North Vancouver. Dr. Muir also provides Oral Appliance Therapy in several satellite locations in the lower mainland. She also provides Oral Appliance Therapy on Vancouver Island in Victoria, Nanaimo, Duncan, Courtenay and Campbell River. What is a Dental Sleep Medicine clinic? We focus on helping patients manage their snoring and sleep apnea and leave the cleanings, checkups and dental work to the dental office they have already. It is not necessary for you to leave your current dentist and once an appliance is delivered we communicate with your dental office so they are aware of the appliance type and how to handle it during any dental work that is needed.